Tel Aviv (AFP) - Two right-wing Israeli government ministers on Saturday launched a new party aimed at winning over secular voters ahead of snap elections in April. 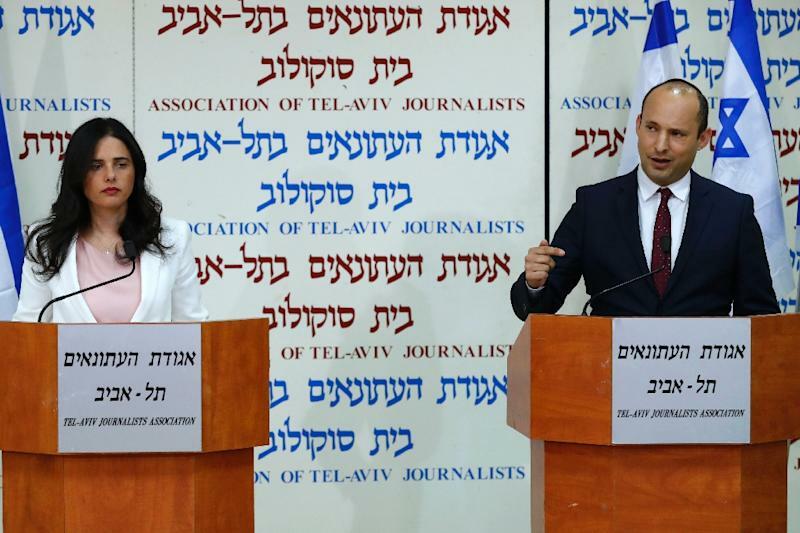 Education Minister Naftali Bennett and Justice Minister Ayelet Shaked said they were quitting the far-right Jewish Home party to found the New Right party. Nationalist Jewish Home -- of which Bennett was the head and Shaked deputy leader -- has been part of Prime Minister Benjamin Netanyahu's coalition with eight seats in parliament. The two ministers said at a press conference that their new party aimed to establish equality between religious and non-religious voters "in a real partnership". Jewish Home, founded in 2013, has been stagnating in opinion polls after failing to attract support from secular Israelis. The New Right party has a similar platform to Jewish Home, including its opposition to the creation of a Palestinian state. Bennett said at the press conference that religious Zionist voters were too attached to Netanyahu to abandon him at the election. "Netanyahu understood that the religious Zionist community is in his pocket, and that no matter how he treats them, ultimately it always follows him," he said. Israeli lawmakers on Wednesday voted overwhelmingly to dissolve parliament and hold snap elections on April 9 after Netanyahu's government agreed on early polls. The premier's coalition was left with a one-seat majority after defence minister Avigdor Lieberman stepped down in November over a controversial ceasefire deal in the Hamas-run Gaza Strip. Polls say Netanyahu looks set to extend his long reign at the top of Israeli politics, but a slew of corruption investigations have cast a cloud over his future.